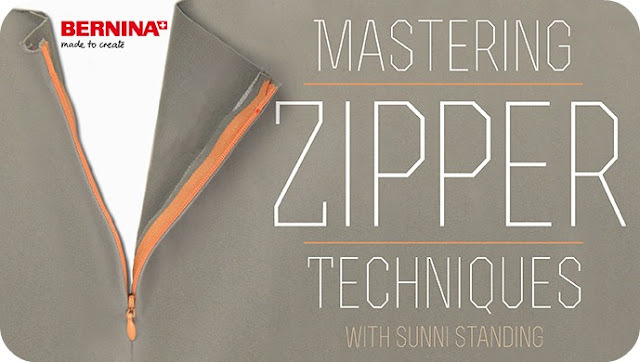 Well, Sunni has partnered up with the amazing folks at Craftsy to make an online course all about zipper insertion techniques and it's fantastic. And can I say how fun it is to hear other bloggers' voices? I feel like I've known Sunni through her blog but we've never met in real-life and it was so much fun to hear her voice and see her sewing!! Though I admit that I was totally distracted by her amazing me-made wardrobe :-) Definitely check out the free course and hopefully Craftsy will offer more resources like this! Debi, thank you! You are so sweet! It is so good to hear other bloggers' voices - I remember hearing yours on a New Year's Eve video (I'm pretty sure it was New Years) and thinking it was so great to hear your voice too. Thanks so much for the shout-out! I LOVE this class! I installed a nearly perfect lapped zipper on the first try, thanks to Sunni! This couldn't have come at a more perfect time. I've been looking up lapped zippers and how to do them. Awesome! Love this class. I watch it almost every time I need to install a zipper.